The PEI Aboriginal Sports Circle is on the move again! We have members representing Mi’kmaq Confederacy of PEI, Lennox Island, Abegweit, the Native Council of PEI and the provincial government. 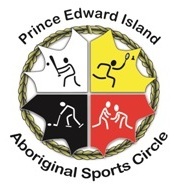 The Circle will aim to increase grassroots participation in sport for Aboriginals on Prince Edward Island, and to help improve the health of these communities through sport promotion and programming at the community and provincial level.